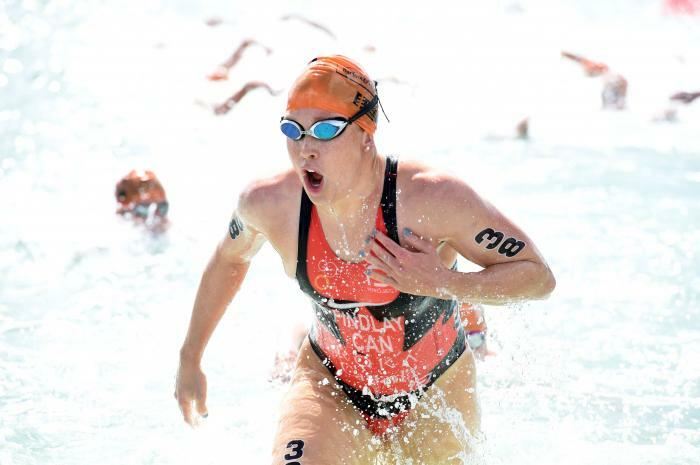 Paula’s introduction to the sport of triathlon began first as a swimmer which she has been doing since she was 11-years-old. 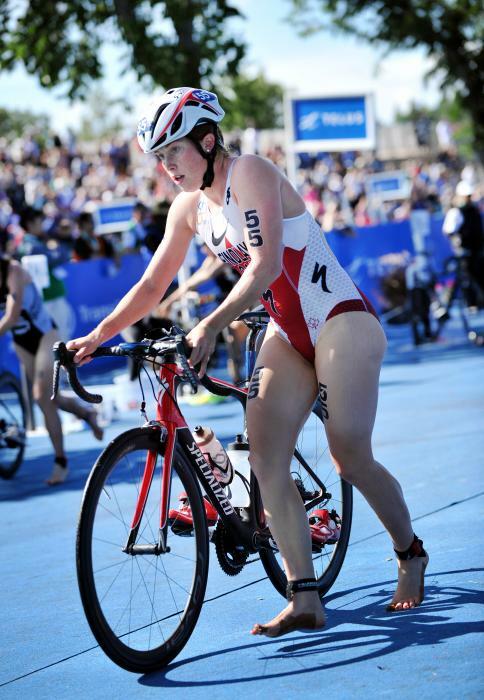 She added running to her skill-set during high school and tried her first triathlon a couple years later. 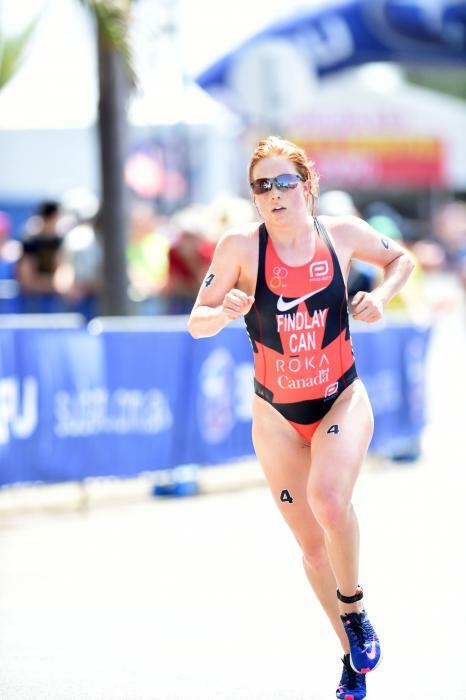 In her first competitive season in 2006, she competed at the World Junior Championships and made Canada’s Junior squad in both the 2007 and 2008 seasons, where her best international performance was a sixth-place finish. 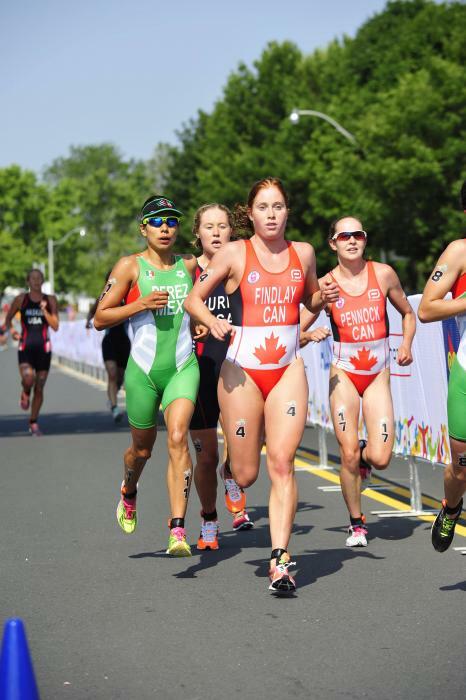 Paula won the junior and senior national championships in 2008 and followed with a third place finish at the 2009 Under-23 World Championships. 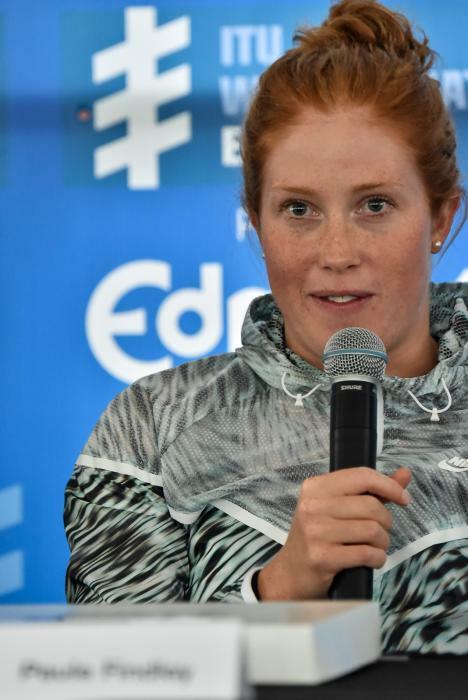 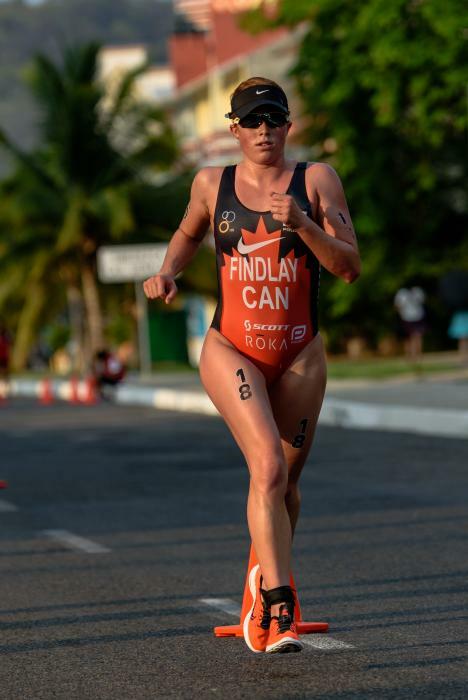 In 2010, at age 21, she won back-to-back WCS races in London and Kitzbuhel and finished fifth at the World Championships. 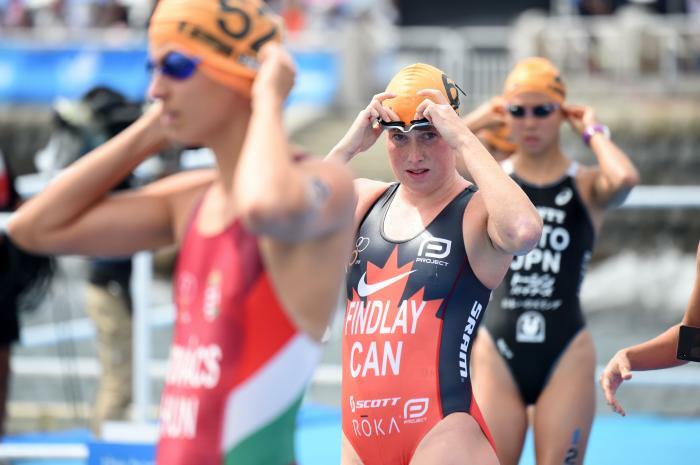 Her 2011 season started with a 1st place at the Sydney WCS, 1st place at the Madrid WCS, and 1st place at the Kitzbuhel WCS. 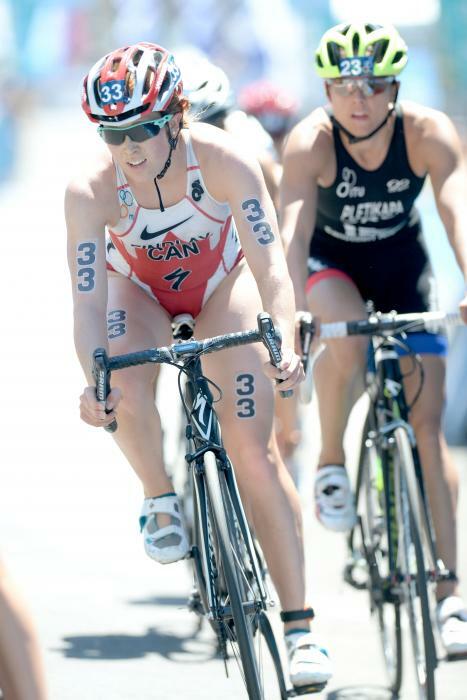 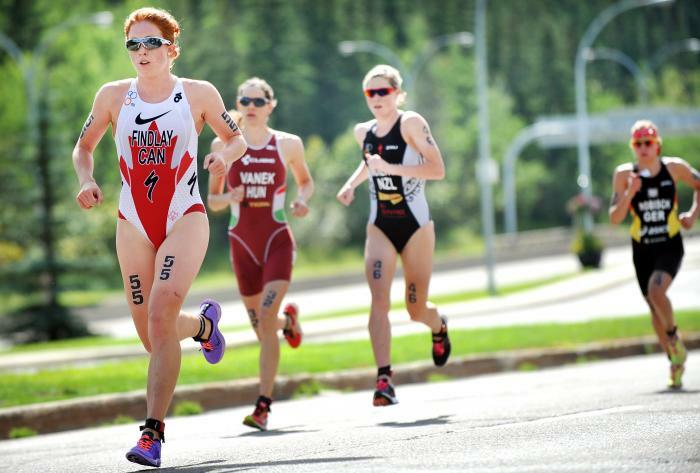 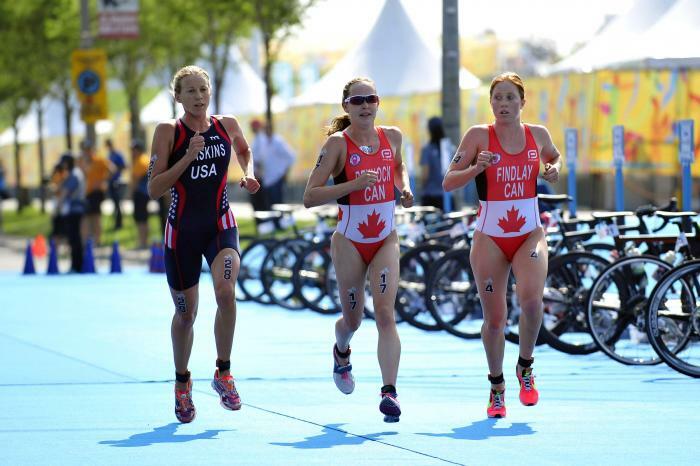 She represented Canada at the London 2012 Olympic games, and it currently aiming at qualifying for Rio 2016. 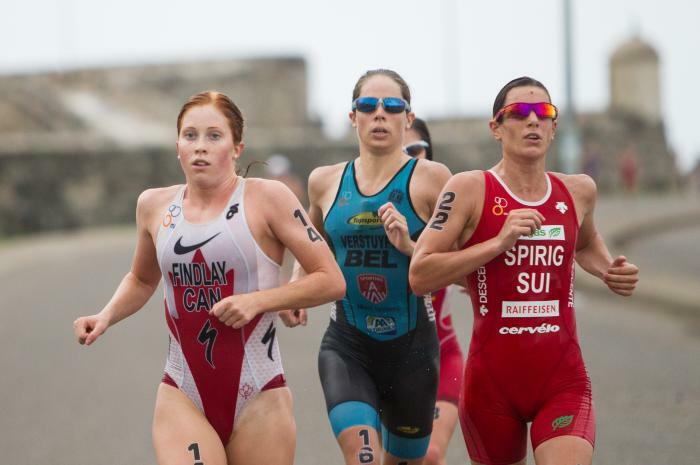 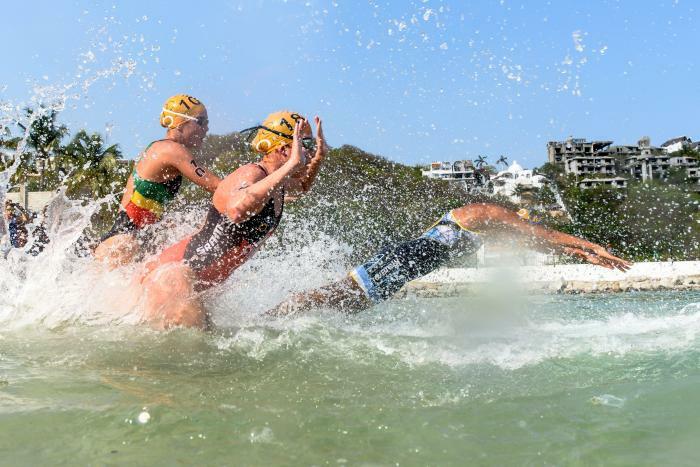 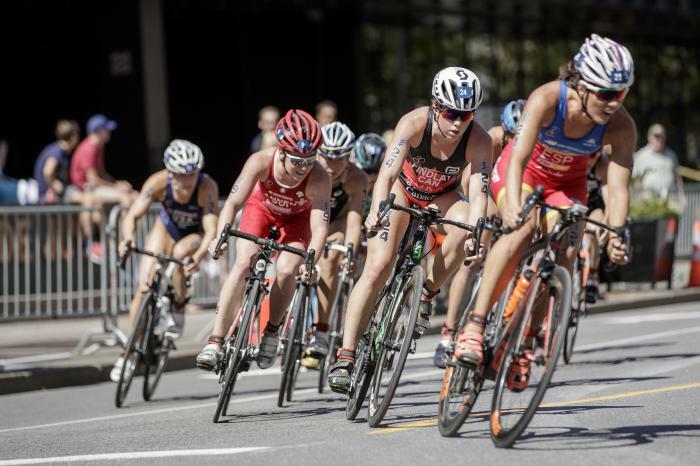 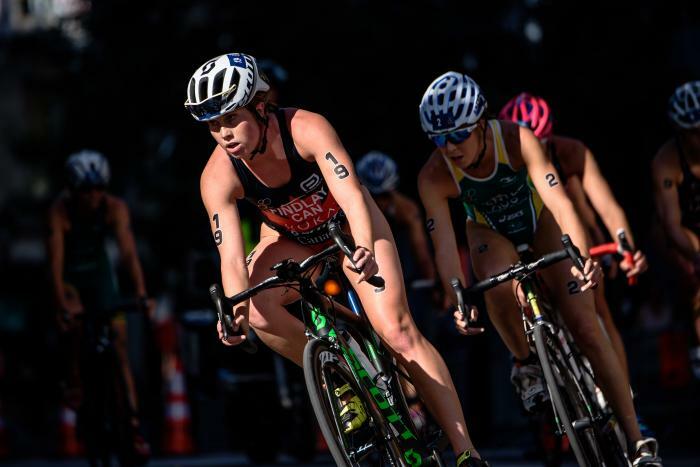 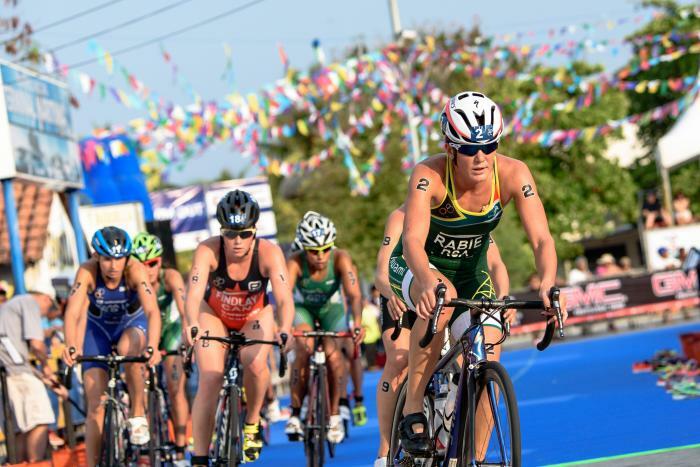 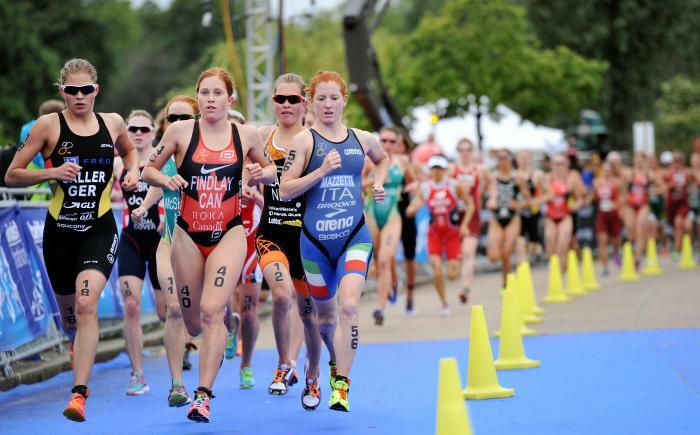 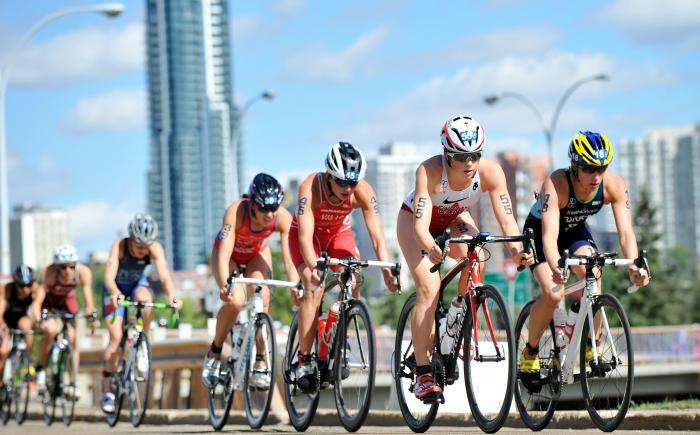 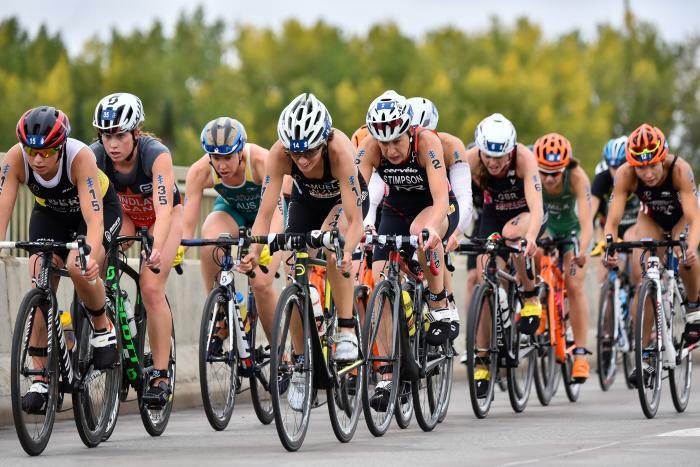 The 2015 ITU World Cup circuit gets underway this weekend with seasoned host Mooloolaba welcoming athletes for the 13th time with a challenging sprint course on Saturday. 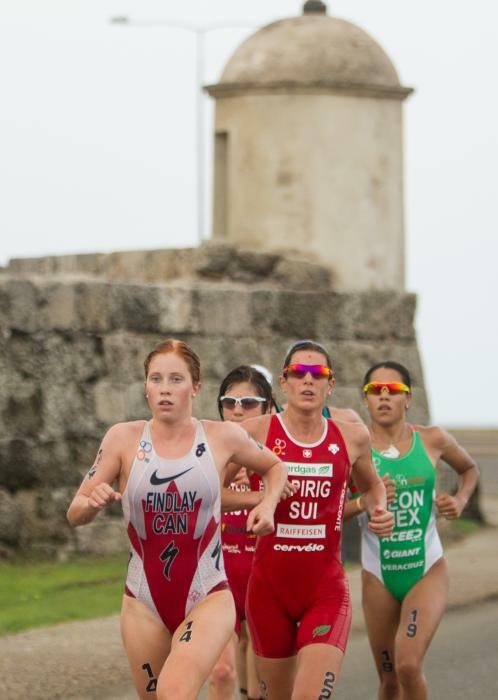 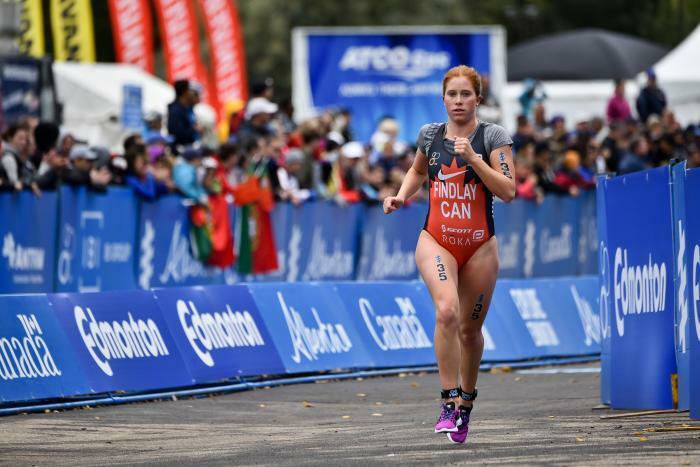 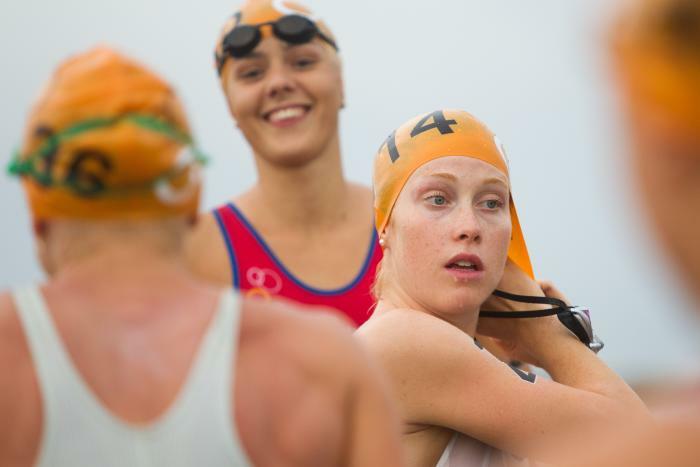 Switzerland’s Nicola Spirig continued her winning streak to take the inaugural Cartagena World Cup race on Sunday, with Paula Findlay (CAN) finishing second and Katrien Verstuyft (BEL) third. 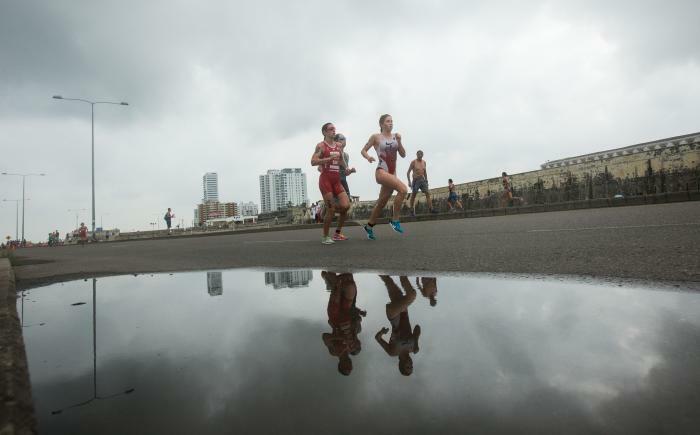 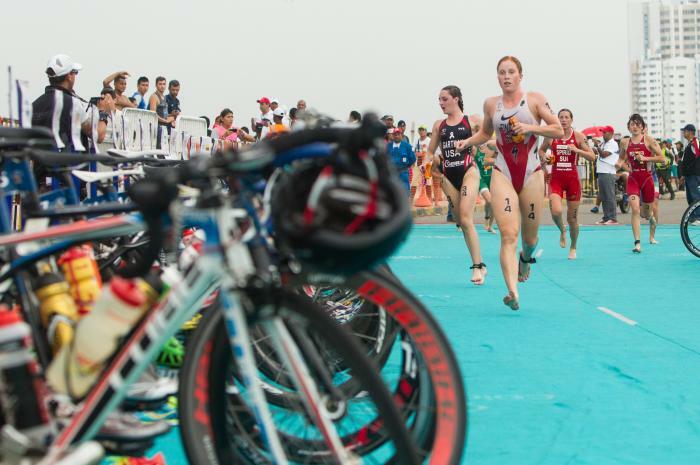 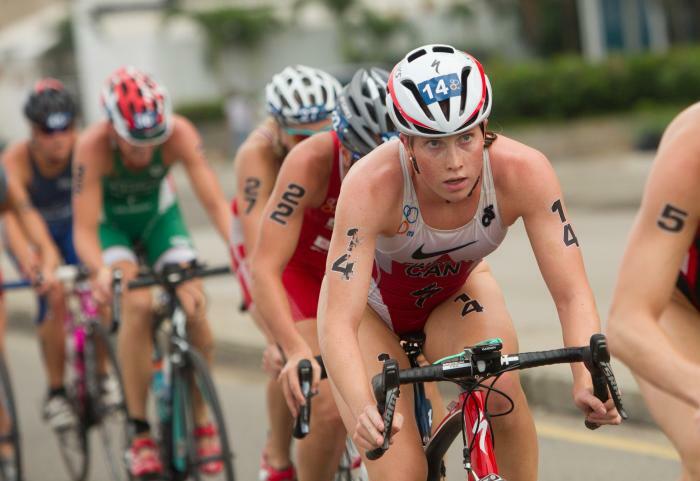 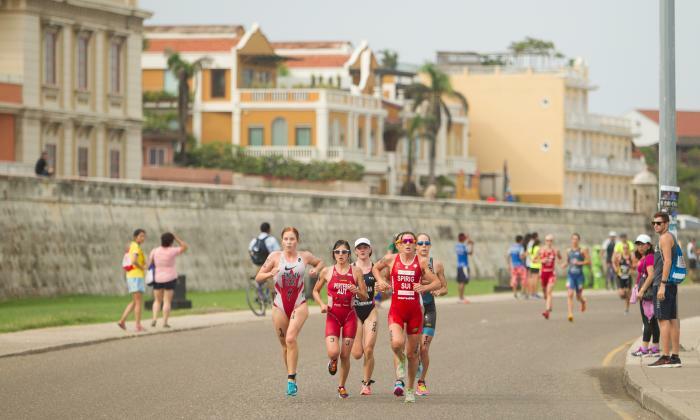 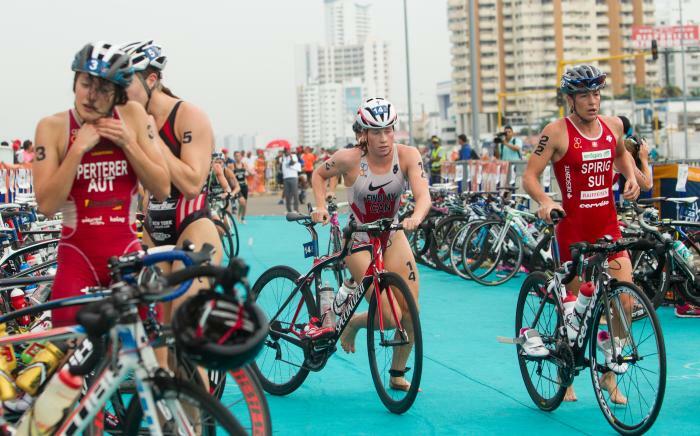 With just two World Cups left in the ITU season, Cartagena debuts as a new race on the circuit this Sunday.